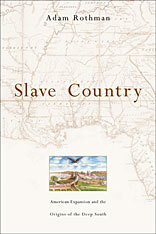 Slave Country tells the tragic story of the expansion of slavery in the new United States. In the wake of the American Revolution, slavery gradually disappeared from the northern states and the importation of captive Africans was prohibited. Yet, at the same time, the country’s slave population grew, new plantation crops appeared, and several new slave states joined the Union. 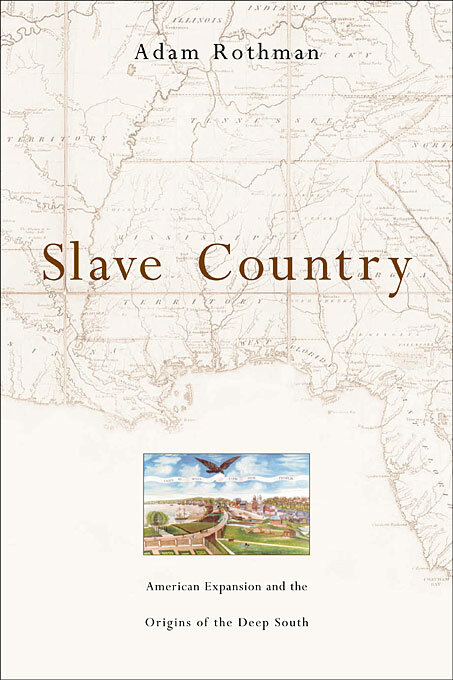 Adam Rothman explores how slavery flourished in a new nation dedicated to the principle of equality among free men, and reveals the enormous consequences of U.S. expansion into the region that became the Deep South. Rothman maps the combination of transatlantic capitalism and American nationalism that provoked a massive forced migration of slaves into Louisiana, Alabama, and Mississippi. He tells the fascinating story of collaboration and conflict among the diverse European, African, and indigenous peoples who inhabited the Deep South during the Jeffersonian era, and who turned the region into the most dynamic slave system of the Atlantic world. Paying close attention to dramatic episodes of resistance, rebellion, and war, Rothman exposes the terrible violence that haunted the Jeffersonian vision of republican expansion across the American continent. Slave Country combines political, economic, military, and social history in an elegant narrative that illuminates the perilous relation between freedom and slavery in the early United States. This book is essential reading for anyone interested in an honest look at America’s troubled past.